For all the cruises we have taken, we have never joined any VIP shopping groups to get off the ship earlier. I guess it had to do with the obvious partnerships between the cruise lines and specific shops at every port. This is not a criticism as it would be bad business if they didn’t synthesize their opportunities to make more money. 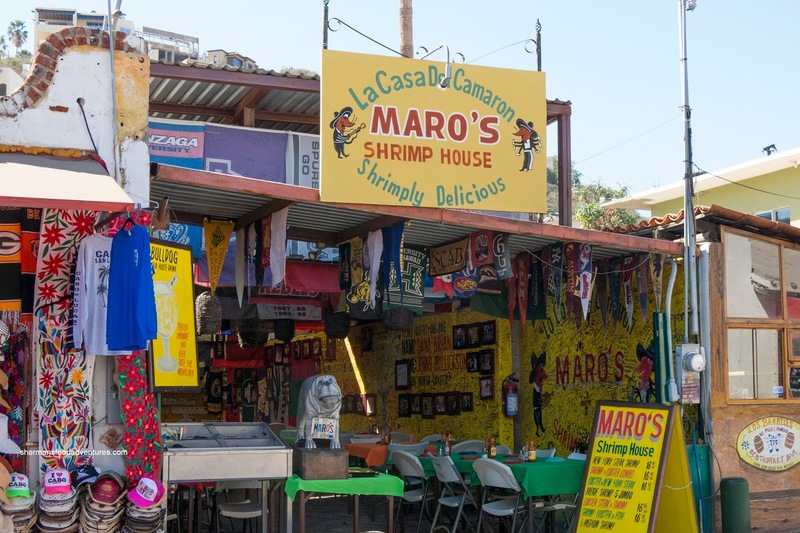 Well, after we did a quick stroll around the jewelry shop that we were taken to, we made our way to Maro’s Shrimp House in the quieter part of Cabo for lunch. Due to its location, the prices were reasonable and at least for us, there were no crowds. 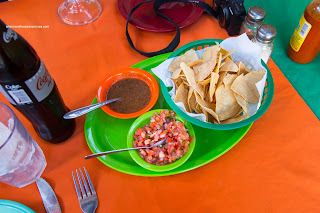 We were started off with complimentary Chips and Salsa which were very good. The firm and crunchy chips were the perfect vessel for the bright and flavorful salsa that was supremely fresh. However, we thought the spicy chipotle dip on the side was even better as it had rich impactful flavors. Viv decided to try their Strawberry Margarita which was very large in size. It looked awesome, but the taste was fairly watered down and the alcohol content was low. 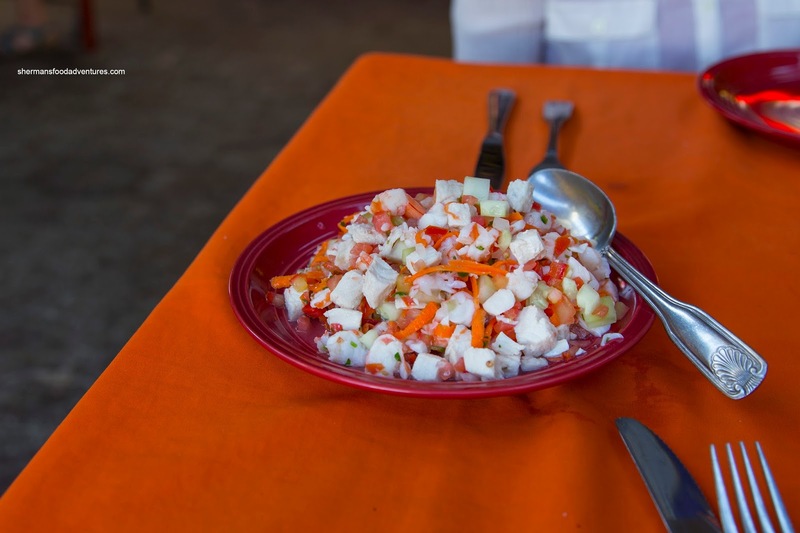 Large in portion size, the Shrimp and Fish Ceviche was bright, fresh and lightly acidic. We found the fish to be moist and flaky without any fishiness. The bits of shrimp were meaty with a firm snap. There was a touch of heat from the intermittent bits of chili while the addition of the bright salsa kept things refreshing. 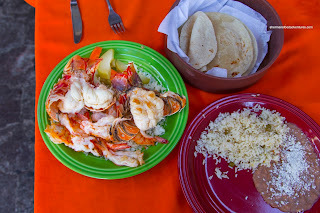 Okay, For $17.00USD, we felt the Lobster and Shrimp was a fantastic deal. It came with 2 lobster tails and 9 shrimp served atop rice. Although a touch past done, the lobster was still appealing with a firm rebound texture. The shrimp were buttery and fresh. To complete the meal, we decided to try the Malchojete with chicken and shrimp. Served in a lava heated lava bowl, the melted cheese sauce was a bit salty and somewhat spicy. We found the chicken to be nicely seared but dry. 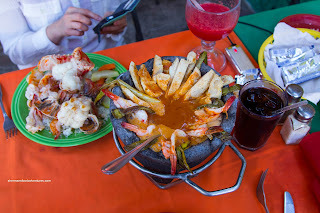 The shrimp, on the other hand, was exactly like the previous dish and went nicely with the cheese. This was served with rice, beans and tortillas. Overall, we thought our meal at Maro's was well-priced for Cabo as things can get pretty pricey. However, the proteins were overdone, which tempered our eating enjoyment.